Requires a Gorilla Wheel Lock Key (# 2178KEY) or 15mm Hex Socket Bit for installation/removal. Keep that custom tuner look with a new set of Gorilla High Tech Hex lug nuts. The quality of Gorilla High Tech Hex lug nuts meet or exceed factory specs. These Gorilla High Tech Hex lug nuts are cold forged for extra strength. 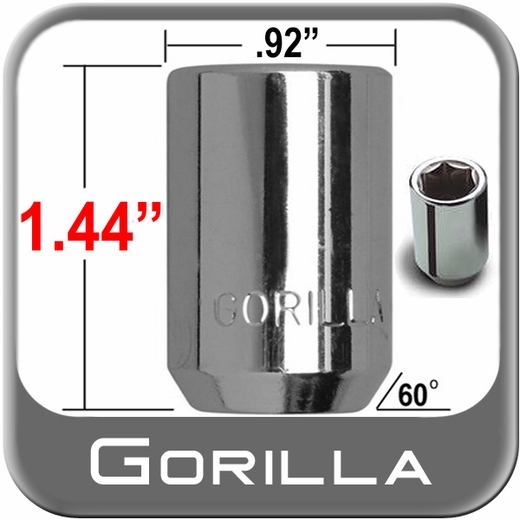 Get the highest quality available with your purchase of Gorilla High Tech Hex lug nuts.